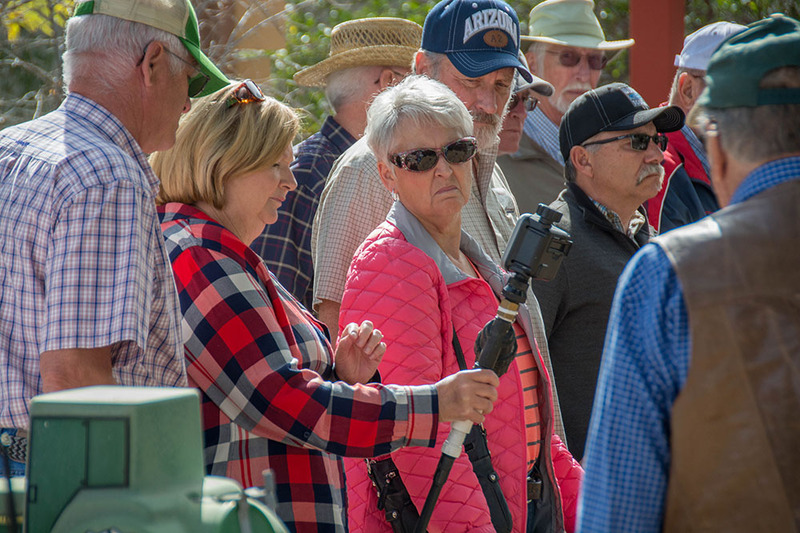 Senior residents and winter visitors learn a thing or two at MAC's AgVenture Tours. Let’s explore the Master Gardener program as it relates to our fair city of Maricopa. But first some history and definitions. The Land Grant College Act of 1862 ceded land within each state to establish colleges and universities specializing in the “agricultural and mechanic” (A&M) arts. The University of Arizona is our land-grant college. The Cooperative Extension Service is a large, informal education system to help people use research-based knowledge to improve their lives. This service is provided by a state’s land-grant university and is administered by county agents. Our Pinal County agent is Rick Gibson. The Master Gardener program is an adjunct of the Cooperative Extension Service along with other groups such as 4-H. Our mission as Master Gardeners is to provide the public with research-based, home, horticultural information through educational programs and projects. We are all unpaid volunteers. Our local group is fortunate to have the Maricopa Agricultural Center (affectionately known as MAC) as our home base. The MAC is a University of Arizona experiment station known for its research on cotton, small grains, alfalfa and new, specialty crops. At the MAC, our Master Gardeners maintain a demonstration garden, and we are currently planning a new orchard plot. We utilize these areas as teaching platforms to introduce local homeowners to new plants and planting techniques, as well as best practices in planning, cultivation, irrigation, and garden and tool maintenance. Another vital service we provide is plant diagnostics. The Maricopa Master Gardeners were commissioned by our county extension agent to act as the go-to plant and insect diagnostic resource for the county in January 2014. In that capacity, we assumed responsibility for logging and resolving the plant and insect questions and issues tendered by home gardeners from all corners of Pinal County. We have a diagnostic lab and comprehensive library in our office, which is also located at the MAC. Becoming a Pinal County Master Gardener requires some time and dedication, but it’s well worth it, not only for one’s personal knowledge but for the opportunity to share that learning with others. First, one must complete a specialized course in gardening in the low desert. The 50-hour course covers topics such as botany, soils and plant nutrition, problem diagnosis, irrigation, pest management, desert-adapted plants and vegetable gardening. The next Garden and Landscape course will be offered in Maricopa Aug. 22–Dec.19. Upon course completion, Master Gardener applicants must complete a specified number of volunteer service hours to obtain full certification. Typical volunteer projects include our annual plant sale, introducing school children to outdoor gardening, staffing the plant diagnostic office, and presenting information at city-wide events. These volunteer opportunities are fun and gratifying, and they can open up a whole new network of acquaintances and contacts. 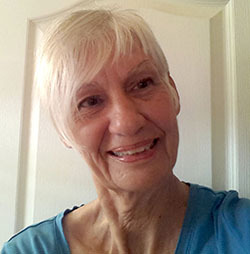 Rita Bricker is a Master Gardener in Maricopa. So, how many kinds of tomatoes are there for Maricopa gardeners?